Go directly to the Leaning Tower at your reserved entrance time, climb up the tower at your own pace and avoid the long lines at the ticket office. Enjoy priority entry to one of Italy’s top attractions with a reserved entrance ticket to the Accademia Gallery in Florence. Tuscany is a lot more than just sipping wine and dipping homemade bread into delicious olive oil. Experience the region’s incredible nexus of country and culture with these 10 sights. 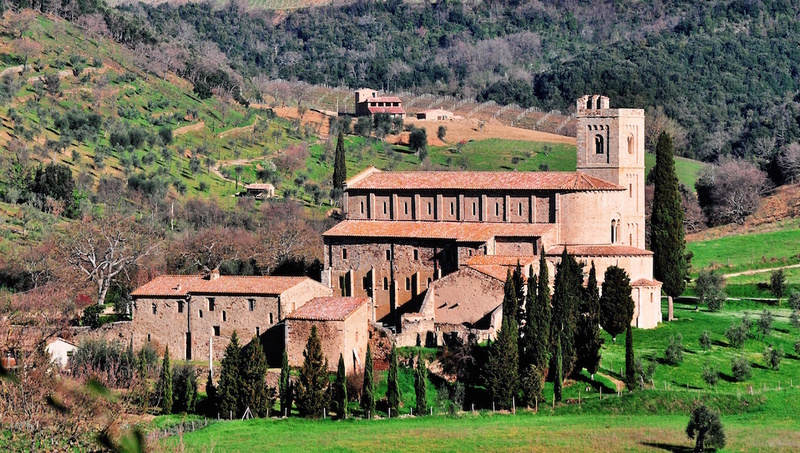 Along your hike in the classic Tuscan countryside, you might seek out this peaceful Romanesque abbey—hear Gregorian chanting echoing its chambers. 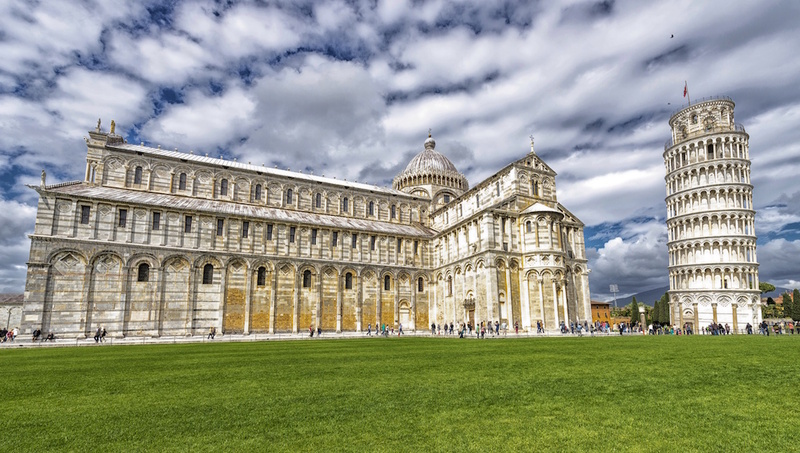 One of the most significant architectural multiplexes in the world - here you'll find Pisa Cathedral, the Pisa Bapistry, the Tower of Pisa and the Camposanto Monumentale. 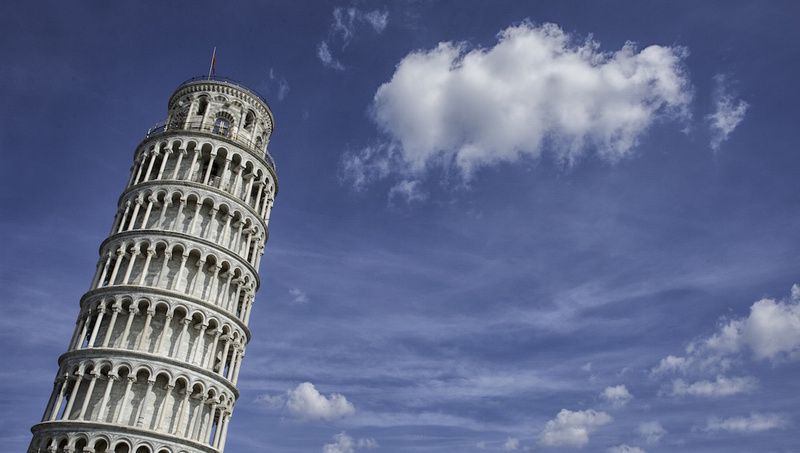 An icon of Italy, the Leaning Tower of Pisa got its infamous tilt during construction, as the ground was a bit softer on one side than the other. 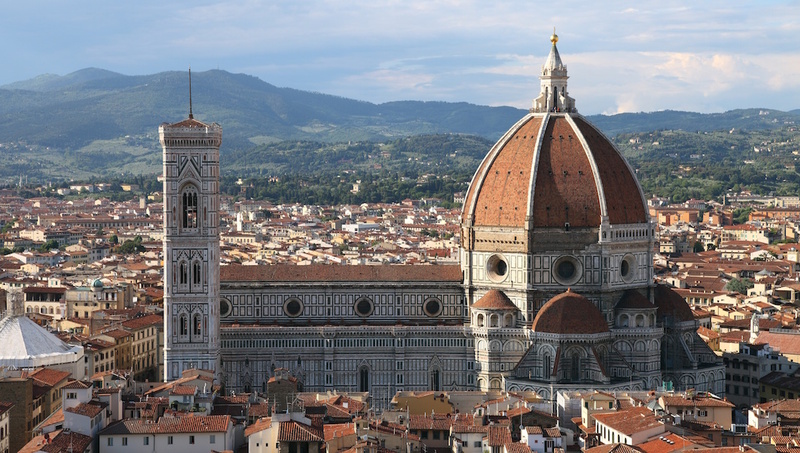 The Cattedrale di Santa Maria del Fiore is the main church of Florence, complete with a gigantic Gothic dome that remains the largest brick dome ever made. Florence’s massive town hall could more accurately be described as a fortress-palace. The giant estate features an ornate entrance, three courtyards and countless grand rooms. 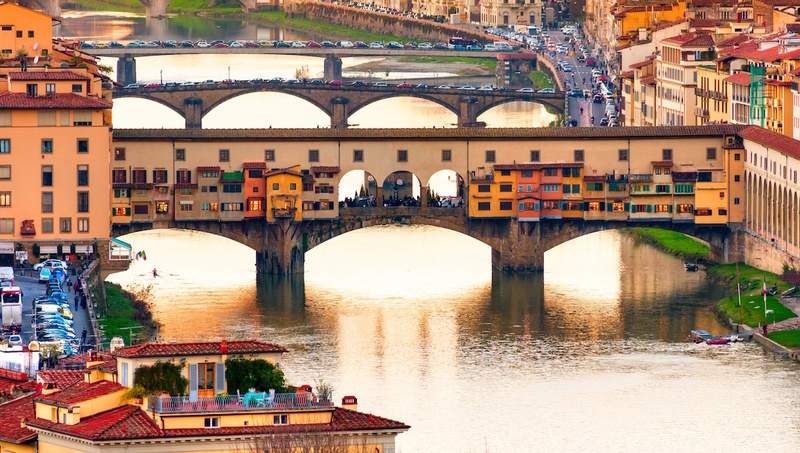 Crossing the Arno River, it is Florence’s most iconic stone arch bridge, known for the butchers’ shops built along it. Today you’ll find jewelry boutiques and art dealers instead. 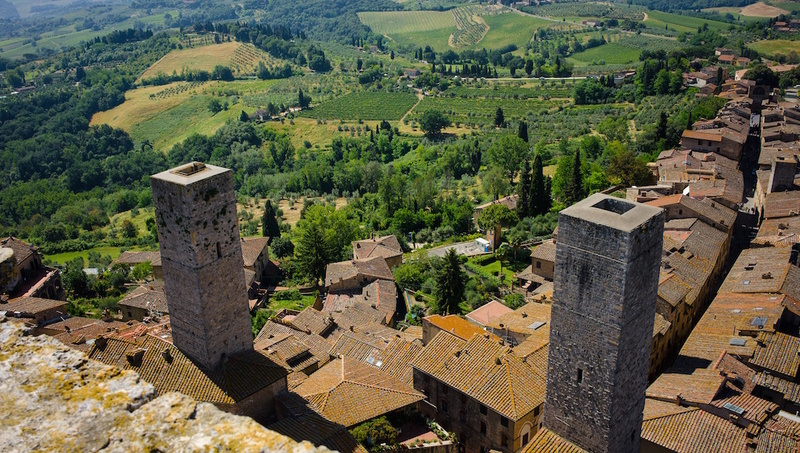 Located in Siena, you could call San Gimignano the first ‘skyline’ with its 15 medieval towers. Come for the town’s charming pastoral setting and tangible history. 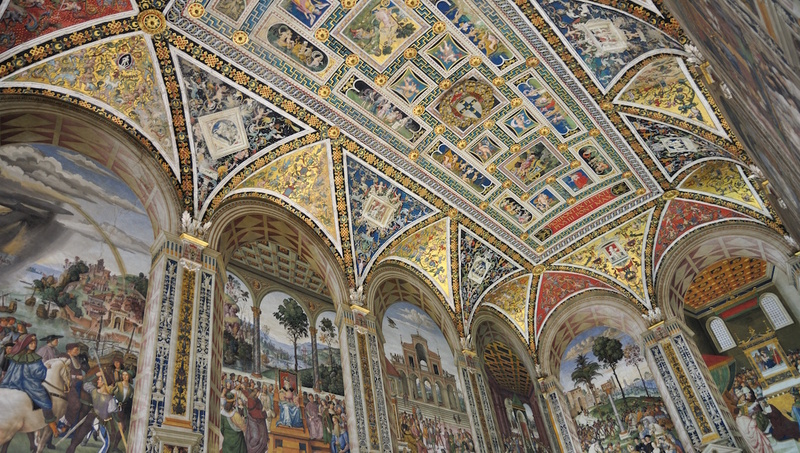 Located in the Siena Duomo, it’s easy to forget about the incredible collection of texts here when faced with the vibrant frescos and illuminated manuscripts. 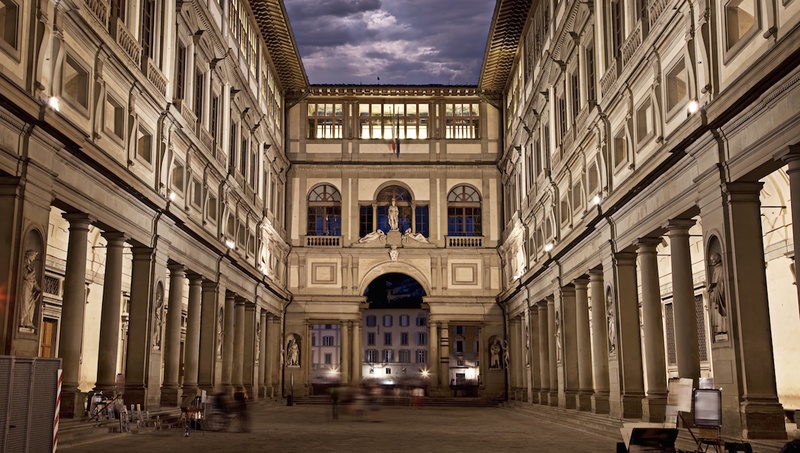 Regarded globally as one of the greatest museums, the Uffizi Gallery houses all the masters of the Italian Renaissance—Botticelli, Michelangelo, Titian and da Vinci. 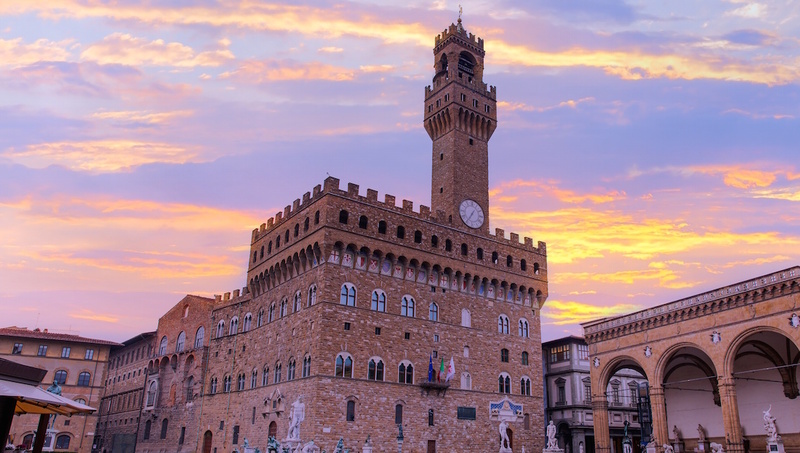 A prime example of Italian medieval architecture with Gothic influences, this palace in Siena is known for its soaring bell tower and stunning frescos in each room. How many days to spend in Tuscany? Tuscany is not a region to visit for the weekend. Plan to spend 1-3 days in Florence, Siena and Pisa each, then drive to the coast and take a ferry to one of the islands for the beaches. 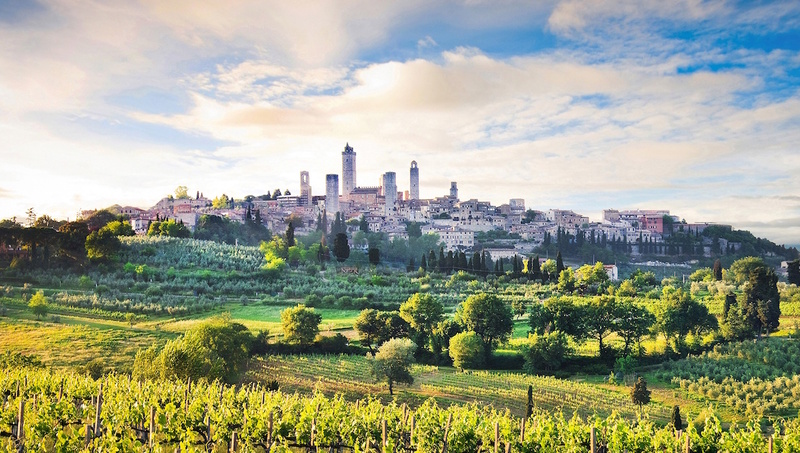 After 10 days in Tuscany, you’ll really be feeling la dolce vita. Wear layers, as the sun is hot during the day and it can get quite cool in the evenings. You should be comfortable and casual; this is the countryside after all. Pack light—one formal dress or shirt is enough. How to get around Tuscany? Only renting a car will give you the full ability to explore the natural beauty and historic quality of the region, from vineyards to palaces. Be sure to request an automatic if you’re used to driving it, as most Italians drive stick shift. Of course, bike tours through Tuscany are a lovely alternative. Early fall and late spring tend to be the best times to avoid crowds and still enjoy pleasant temperatures. Our guide was really passionate and knowledgeable. The tour went at a good pace and included suggestions for us to go and explore other bits that we weren't able to be included in the tour. Would definitely recommend. We loved this trip. Well worth paying extra to queue skip. Our guide was so knowledgable and brought every exhibit alive with wonderful narrative. Loved being in a small group - 6 as it is more manageable. We thoroughly enjoyed the guide and the way she communicated. Meeting point was easy to find and the ear phone system made it easy to follow the guide. There was not a long waiting period in ques. We found the tour expensive but I guess it was because of the last minute booking convenience. A fun way to explore many places in one day! Eduardo was an awesome guide who helped us navigate easily and gave great recommendations! He was able to take us to so many different locations and used time wisely so nothing felt rushed! Myself and a friend booked to do this tour one afternoon just after we arrived in the city and it was the perfect way to introduce us to all of the various landmarks and buildings that we might later want to visit. Our tour guide Riccardo was so knowledgeable and made the tour extremely interesting and also fun. It was efficiently organised, instructions for meeting were very clear and the actual cycling is nice and gentle so it's not strenuous, you make regular stops. I would recommend to everyone as a must do in Florence!